Wow! The last week has been hectic, and I feel like I need a week to recover from it! It has been wonderful, but I am absolutely exhausted, and the house looks like a bomb has hit it! 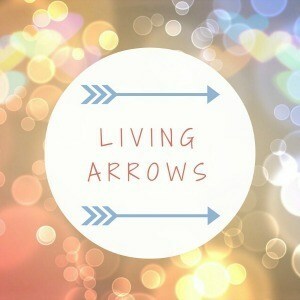 Read on to find out why in this weeks Living Arrows link up! For the last week my wonderful mother and I have been shopping and cooking and baking none stop….mostly Mum, as a lot of my cooking was done on Saturday. 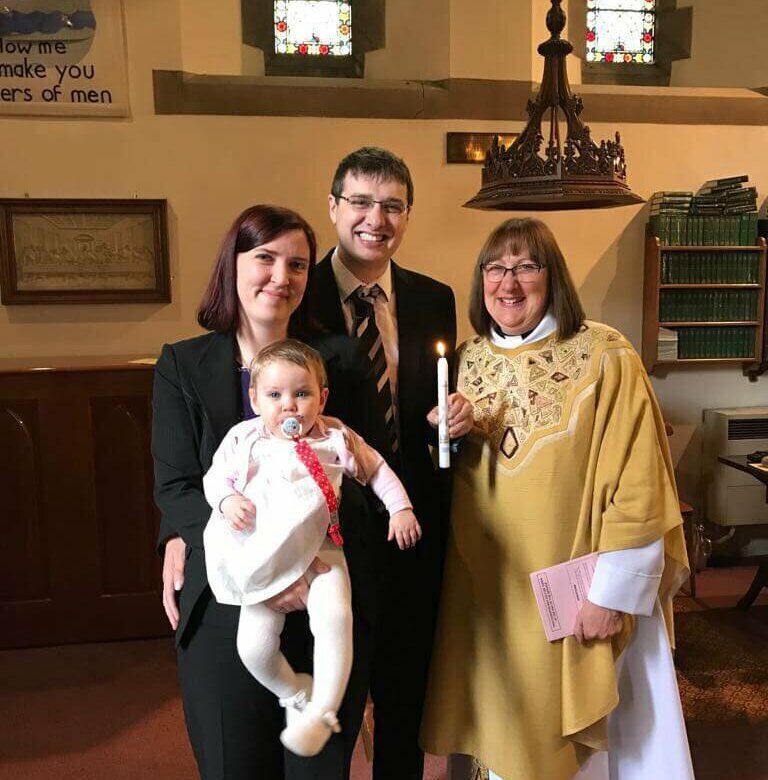 On Sunday we had Isla Christened, and then a big party afterwards to celebrate that and her first birthday (Monday). To keep with tradition (can it be tradition if it’s only been done once before!?!) 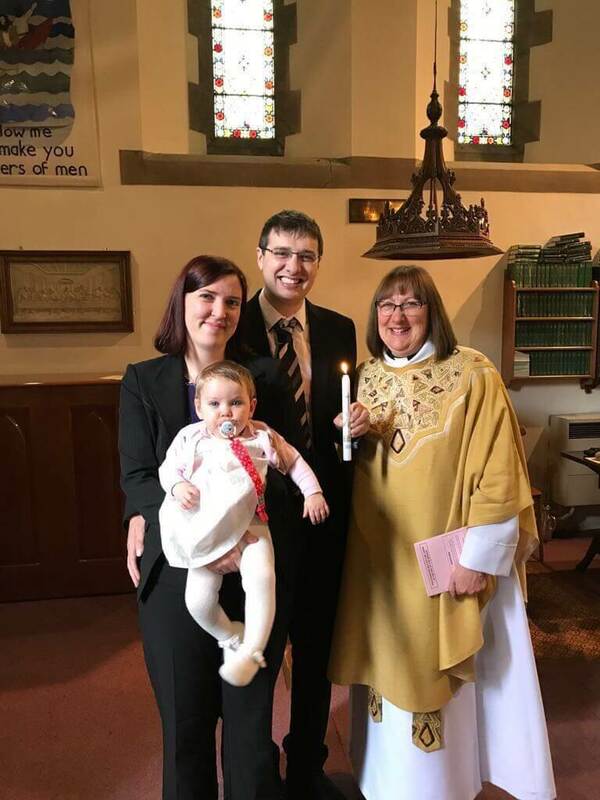 of my Mother-in-Law conducting the service, like she did for our wedding, she did the service for Isla’s Baptism too. It really was lovely. Isla didn’t cry while she had the water poured over her…but then decided shortly after that that she would cry unless she was held by either me or Chris…and this continued pretty much for the rest of the day. I think she was tired and a bit overwhelmed! I hope that everyone had a good day. As with most parties, it is difficult to manage to talk to anyone for any period of time, especially while trying to entertain a fussy one year old as well! I was pretty amazed that most of the food went…there were various bits that I didn’t get to try at all, but would have loved to. But I guess that just shows that the food was good and people enjoyed it! Isla was thoroughly spoilt, and it took us pretty much all of Monday to open her Christening and Birthday presents. Now we have the fun of trying to find places for them all! Isla has loved playing with all her new toys and reading her new books so far. I still can’t quite believe my baby girl is one year old! (You can read her 12 month update here) We had a fabulous day though, and it was so lovely to share it with so many people. And I am so thankful for all those that helped out, either with food, making the cake, being Godparents, or tidying up the hall we hired afterwards. It made it all a lot less stressful. Now, would anyone like to come and help sort out my house!?! I’m slowly getting there, but five minutes after I’ve tidied somewhere there are toys or plates and glasses everywhere again and I feel like I’m back to square one!